Media Appearances, Events and Rob in other people's books! 8th August 2017 - Following the release of my book Secret Gateshead the Chronicle contacted me about putting together an article for their Nostalgia section. The resulting article was a double page spread which can also be found online here. 26th July 2016 - To tie in with the release of the new Ghostbusters movie, the Chronicle got in touch with me about compiling my list of top ten haunted places in the north east. This feature was run in today's newspaper, as well as on their website and their social media. 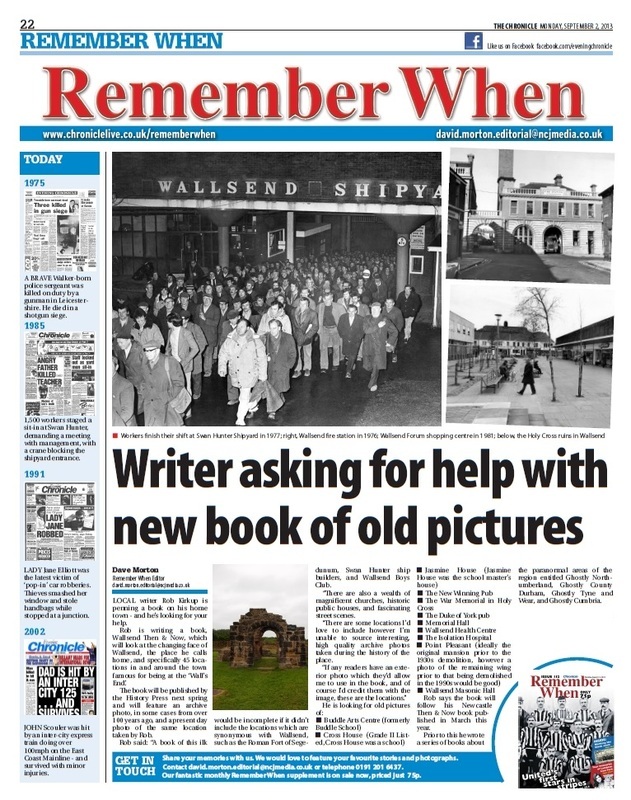 13th June 2016 - The Chronicle newspaper ran a double page spread in it's Nostalgia section about my book Gateshead Then & Now. 4th July 2015 - I carried out a book signing for Gateshead Then & Now at Blackwell Books in Newcastle. 13th June 2015 - I was invited along to Gateshead Heritage Centre @ St Mary's Church in Gateshead to conduct a talk about the changing face of Gateshead to coincide with the release of my new book Gateshead Then & Now. The staff were brilliant, and a huge thanks to those people who took time out of their weekend, on a glorious sunny day, to come along and listen to me talk. 31st October 2014 - I appeared on BBC Radio Newcastle's Jonathan Miles Mid-Morning show talking about the ghosts of the Town Moor and chatting about Halloween. 4th January 2014 - Another really positive review turned up in my inbox today from my publisher, this time courtesy of Lionel and Patricia Fanthorpe who write "We thoroughly recommend this excellent study of paranormal Edinburgh to all who are interested in unexplained phenomena." 31st December 2013 - I received a brilliant reviews of Ghosts of Edinburgh from Malcolm Robinson at Strange Phenomenon Investigations which he concludes by saying "A fine book, a fine read, and a job well done, I can't wait til their next exploits. Read the full three page review below. 16th December 2013 - An extract from the chapter Final Destination which follows the GOTNE lads at Cammo Estate from Ghosts of Edinburgh is featured on the Year End Wrap Up Part 2 show of the Crash Course in Awesome podcast. Check it out at their website www.crashcourseinawesome.com or on iTunes. 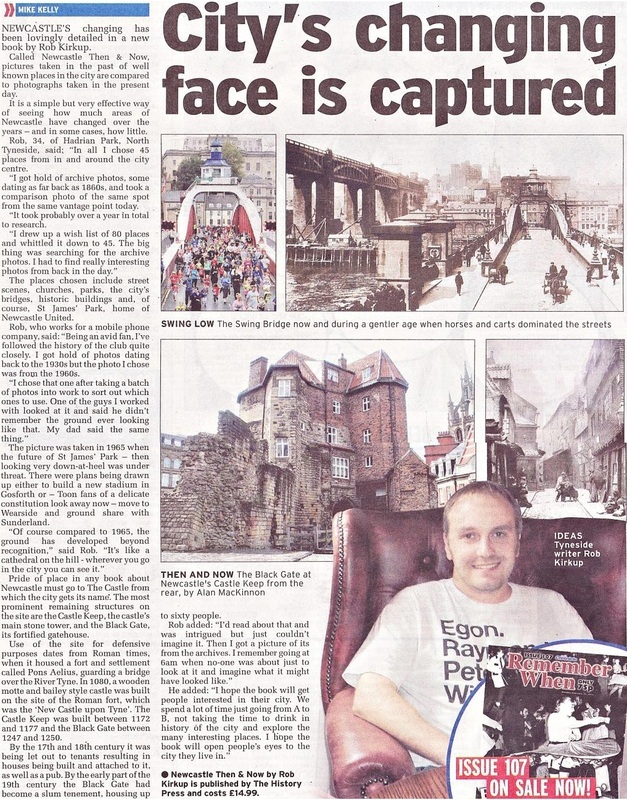 26th October 2013 - An interview I did with the Edinburgh Evening News about Ghosts of Edinburgh appeared in a Halloween related article in this evening's paper. 21st October 2013 - An extract from the chapter Cussin' Boots, detailing our chilling encounter at Edinburgh Vaults, from the book Ghosts of Edinburgh was re-enacted brilliantly by Bryan and Ricky of the phenomenal podcast Crash Course in Awesome. Check it out on iTunes, or go to their website www.crashcourseinawesome.com and you can listen online. 7th August 2013 - I was asked to be a guest on Freddie Flintoff's Ashes Roadshow which would go out nationwide on BBC Radio 5 Live, and locally on BBC Radio Newcastle simultaneously. The Ashes in Durham was due to start the following day, and I was asked to talk about the ghosts of Lumley Castle which overlooks the cricket ground, in particular revisiting the night in June 2005 when the Australian cricket team stayed there and were terrified by the resident spooks. However in the most bizarre circumstances I didn't actually get on air, as there was some kind of mix up, and another local paranormal enthusiast named Dave Shotten was on air around the time I turned up having understood that I wasn't coming. When I walked into the huge function room at the castle there was a couple of hundred people in attendance and Freddie Flintoff, presenter Mark Chapman, and former international cricketers Adam Hollioake, Steve Harmison, and Graeme Fowler were on stage, and the place was in hysterics. I was kindly taken to my allocated seat in the front row, but come 9:00pm I hadn't been on air due to the confusion. 4th May 2013 - As part of Local History Month I was asked to do a talk at Newcastle Library. I was booked in to the Bewick Hall and spoke for over an hour about myself, and in particular how I came to write Newcastle Then & Now. With the aid of Powerpoint I spoke about eight of the places in the book, with a Q&A and book signing afterwards. Everyone who booked to come along really enjoyed it, getting involved and I even got a round of applause afterwards. A huge thanks must go to Sarah and Susan from the library for all their help. 13th April 2013 - Another book signing today for Newcastle Then & Now this time at Waterstones in Newcastle. I was there from midday - 2pm, before relinquishing the book signing table to local crime novelist Mari Hannah (who was thoroughly nice and even asked me to sign a book for her). It was a really good couple of hours and I met some really nice people. 30th March 2013 - Today I spent a few great hours at Newcastle's Discovery Museum signing copies of Newcastle Then & Now. Thank for everyone who came over to say hi, a special mention has to go to the bloke who was convinced that he recognised me from the "Cow Society". (Just to clarify I'm not, and never have been a member of the Cow Society, or any cattle-appreciation related club). 19th January 2013 - Tom Ruffles reviewed Ghosts of York for the Society of Psychical Research's site, read it here. January 2013 - Yorkhistory.org.uk interviewed me at length for the second issue of their free online magazine. You can read all about it here. December 15th 2012 - Rich and I returned to York for the first time in over a year for an event at Waterstones signing copies of Ghosts of York. Thanks to everyone who popped by and said hello, it was great and the shop was full of Christmas shoppers. November/December 2012 - Regular mentions of Ghosts of York on the north east's leading paranormal radio show; Dead Air Radio on NE1 FM (102.5FM), and the guys give away some copies to some lucky listeners. October 2012 - A review of Ghosts of York appeared on The Paranormal Review website. The reviewer Kirst D'Raven writes a very fair review of the book, suggesting that she would have preferred to see a more scientific approach to our investigations, but when she spent a weekend curled up with her dog and the book in front of a log fire she "really enjoyed it", adding "Rob's style tends to ramble a little at times, though not in a bad way. Kind of like one of those conversations you have in a pub about the local spooky stories, you know the ones where the person telling the tale relates it in such intricate detail you are left wondering just how they remember it all?" Read the full review here. 19 October 2012 - Yorkshire Ridings magazine; the county magazine with the largest circulation in Yorkshire, included Ghosts of York in their book reviews section of their November 2012 issue. 4 October 2012 - I was asked by popular lad's mag Front to write 'How to Hunt Ghosts' a humorous slant on different types of ghosts you might encounter, where to look for them, and essential equipment. It was obviously a vast departure from my usual style of writing, both on this site and in my books, but I really enjoyed putting it together and the brilliant illustrations really brought my writing to life. The five page article was sandwiched between an interview with Corey Taylor of Slipknot on one side, and three nudey ladies on the other. www.yorkhistory.org.uk/bookreviews.html. The review is really positive and sums up the book as "an engaging story of how some very brave people explored some very dark parts of York. Overall, a recommended read and the section on the visit to York Guildhall with its various rooms and hidden tunnel leading to the River Ouse added a new dimension to the building for me." 1 June 2012 - Paranormal County Durham by Darren W Ritson came out today, published by Amberley Publishing. Darren contacted me a couple of months earlier about using a photo of Preston Hall Museum from my Ghostly County Durham book. I was only too happy to help. 4 May 2012 - Approached by Deutschlandfunk, Germany's number eins funk-based radio station wishing to interview me for their weekly 'Faces of Europe' show about the English's fascination with spooky stuff. January 2012 - Richard Holland of Uncanny UK compiles a list of the UK's 50 most haunted locations and the north east locations which make the grade include text from my Ghostly books. Check it out here. 16 June 2011 - Hauntings: True Life Sightings and Experiences of Ghosts by Rebecca Kidger was released today, and features a number of stories taken from this very website. June 2011 - Interviewed on BBC Radio Cumbria about the release of Ghostly Cumbria. Halloween 2010 - I wrote five short pieces on haunted locations in the region for BBC Radio Newcastle; Winter's Gibbet, Dunstanburgh Castle, Hylton Castle, the Town Moor, and Lumley Castle. These were recorded by a voice actor with creepy sound effects and played out each day leading up to Halloween on the Jonathan Miles Mid-Morning Show. 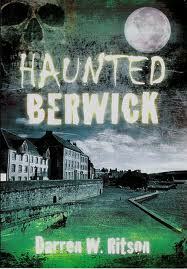 1 October 2010 - Hot on the heels of Rob contributing to Richard Jones book, text from the Berwick chapter of Ghostly Northumberland appears in the brilliant new book by Darren W Ritson; Haunted Berwick. 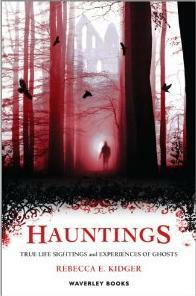 30 September 2010 - Haunted Britain by Richard Jones was released today, published by AA Publishing. Richard has used text from my Castle Keep chapter of Ghostly Tyne and Wear (for which he wrote my foreword) and thanked me in the acknowledgements. 17th May 2010 - Andrew Harrison who presents 'the Book Show' on Radio Teesdale rang me to record a pre-recorded interview which went out on his show the following day. 2nd May 2010 - I had a six page article published in Paranormal Magazine (May issue number 48) entitled 'Dark Doings in County Durham'. It was a totally separate piece to the content in Ghostly County Durham, but provided a good introduction to some of the locations that feature in the book. 11th March 2010 - Interviewed in the studio at Sun FM in the morning for a pre-record to go out the following day, then drove over to BBC Radio Newcastle to be interviewed live on the Jonathan Miles Mid-Morning Show. 2nd March 2010 - I chatted on the phone to Lisa McCormick of Radio Tees about Ghostly County Durham and during her show later in the day she played it out in segments. 15th August 2009 - I was at Waterstones in the centre of Newcastle for a book signing of Ghostly Tyne and Wear, it was a joint event as Darren Ritson was there to sign copies of his book, Haunted Newcastle. 14th August 2009 - The Evening Chronicle ran an article to promote the book signing at Waterstones in Newcastle the following day. 6th June 2009 - I spent an enjoyable afternoon at Arbeia Roman Fort, South Shields, in the company of Johnny Wilson, a reporter from the South Shields Gazette. A double page article appeared shortly afterwards, and not only did it appear in the South Shields Gazette, it also ran in the Sunderland Echo, the Washington Star and the Newcastle Journal. October 2008 - Interviewed for Living North magazine about Ghostly Northumberland. 24th September 2008 - One of my favourite magazines, The Paranormal Magazine, reviewed Ghostly Northumberland. The article is no longer online but they described it as an "enjoyable tome" and gave it a score of 4 out of 5. 21st August 2008 - I was at Bamburgh Castle on August bank holiday weekend for a book signing for Ghostly Northumberland. August 2008 - The Grey Ladies paranormal investigators who kindly agreed to contribute to Ghostly Northumberland posted a piece about it on their news page - http://www.thegreyladies.co.uk/medianews.htm. 23rd December 2002 - I appeared live in the BBC Radio Newcastle studio for an interview about the haunted north east on their drive time show. 31st October 2002 - That fateful night that started it all; Kenco, John, Andy, and I made our way to Talkin Tarn in Brampton to investigate the haunted lake and eerie woodland that surrounds it, for Alan Robson's Night Owls on Metro Radio.